I have an evening off (for once!) so was going to settle in on my sofa and watch the Golden Joystick Awards, which are being streamed on Twitch this very second! I am going to live-tweet my thoughts over on my Twitter, however I also wanted to see if any of you lovely TAY-ers wanted to chat. 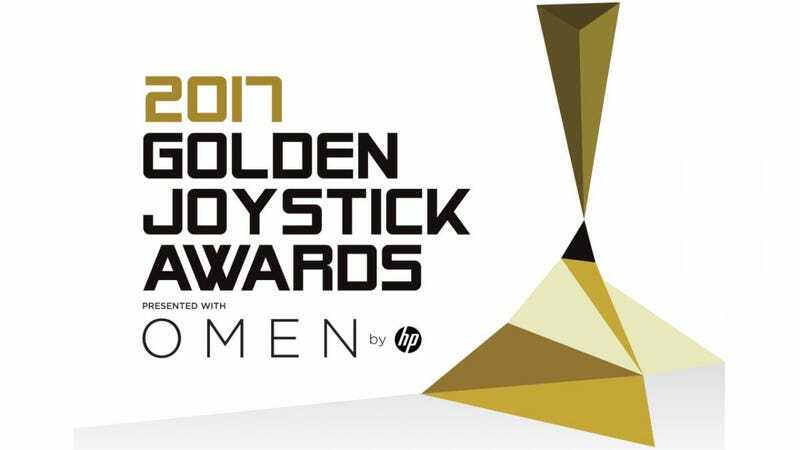 The Golden Joystick Awards, also known as the People’s Gaming Awards, is a video game award ceremony; it awards the best video games of the year, as voted for originally by the British general public, but can now be voted on by anyone online. What is your Most Wanted game over the next year? Which game had the best Storytelling from this year? Which game had the best Visual Design? Which actor gave the best Gaming Performance? Do you even like videogame award shows? Or is it just a industry self-indulgence? These, and plenty more awards, will be given throughout the next few hours! You can watch here on Twitch. And here’s my Twitter, in case you wanted to chat over there! The Ultimate Game of the Year: Zelda: Breath of the Wild.